The Commonwealth of Massachusetts, Operational Services Division (OSD) and the Strategic Sourcing Services Team (SSST) awarded Stephens Associates Consulting Engineers, LLC (SA) a multi-year, general engineering services contract, No. PRF69, for projects by the Department of Conservation and Recreation (DCR), Division of Capital Asset Management and Maintenance (DCAMM), and other municipal and state agencies. The OSD set up this statewide-contract for facilities engineering services not only for state agencies, but also for a wide range of eligible entities, such as cities, towns, counties, public and quasi-public authorities/commissions, local public libraries and school districts, public colleges, public hospitals, and more. 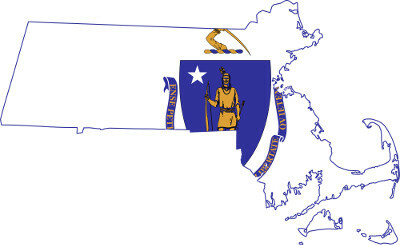 The Contract prequalified SA for Civil, Coastal, Construction, Geotechnical, Structural, Dams, and Water Resources engineering services throughout Massachusetts on wide-ranging public infrastructure projects, such as buildings, dams, bridges, roads, utilities, seawalls and retaining walls, rinks, pools, and more. We are prequalified for engineering services such as planning and evaluation, technical analysis, schematic, preliminary and final design, contract preparation, cost estimating, reporting and permitting, and construction administration and oversight. SA is certified by the Commonwealth of Massachusetts, Executive Office for Administration and Finance, Operational Services Division, Supplier Diversity Office (SDO) as a Woman-owned Business Enterprise (WBE) and Disadvantaged Business Enterprise (DBE). SA is similarly qualified as a disadvantaged Business Enterprise (DBE) in New Hampshire, Maine and Vermont, helping our clients meet their supplier diversity benchmarks. SA provides insightful, cost-saving engineering solutions for dams, buildings, bridges, and other infrastructure. Our innovative designs are prepared to meet client’s goals, reduce construction and maintenance cost, and meet regulatory criteria.